This project’s design accommodates this contemporary and complex household – not by adding floorspace – but by providing new amenity and flexibility. 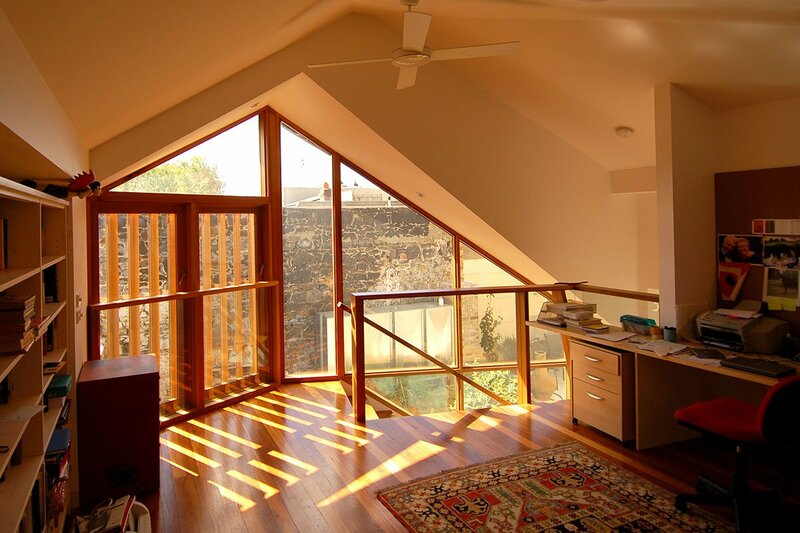 The way we renewed this dwelling was by creating new kinds of spaces within the existing home – providing variety rather than an adding area. 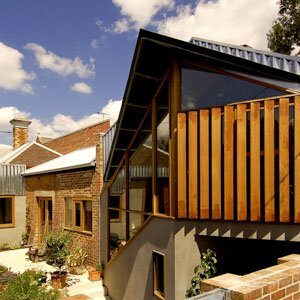 The project challenge – more house, but with less building. 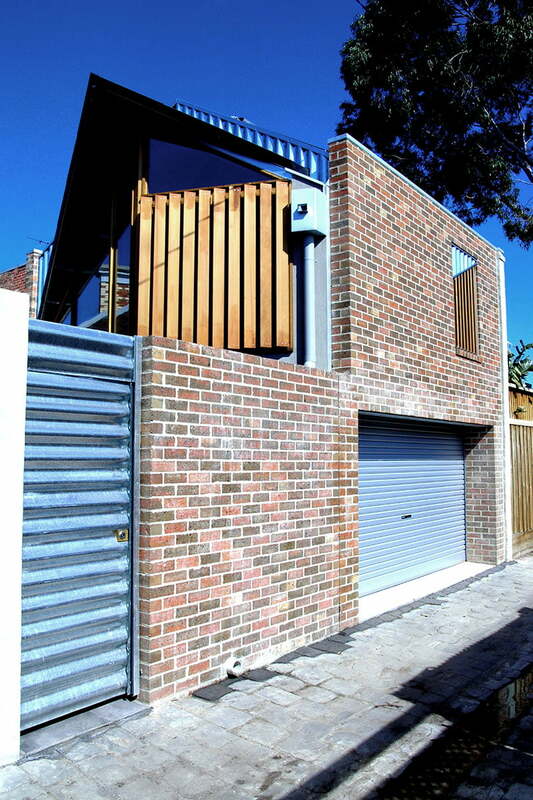 Within an already dense, inner-city terrace site the client requested: a courtyard, garden, carpark and a house. 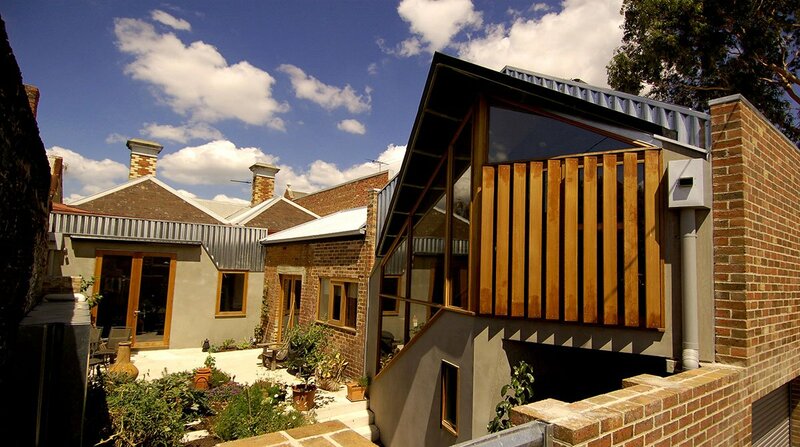 A house that could be her home, workplace and have the flexibility to accommodate her adult children. Our design accommodated this contemporary and complex household not by adding floorspace – but by providing new amenity and flexibility. 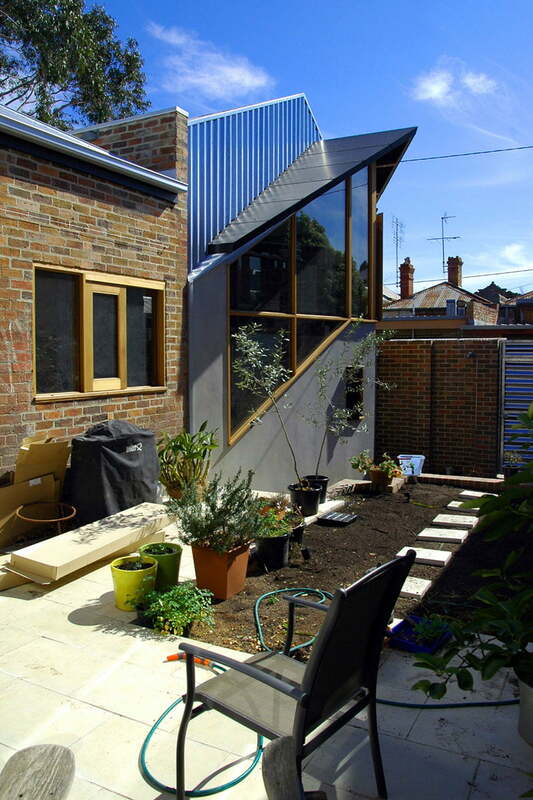 The dwelling was renewed by creating new kinds of spaces within the existing home – a provision of variety rather than an addition of area. This way the house could be expanded while its site coverage was reduced. The kitchen was renovated and a flexible study/bedroom room was built at the rear of the house, within the volume of an existing stable. 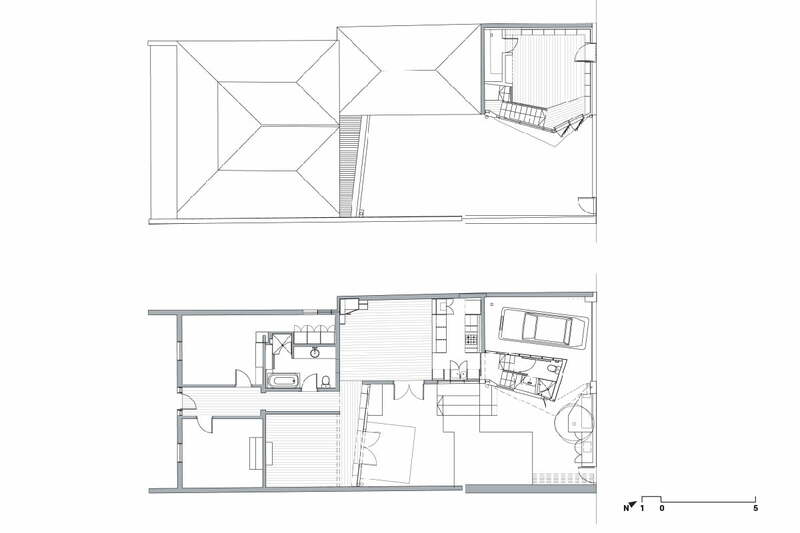 Two bathrooms were added, one at the front and a smaller one at the rear that serviced the flexible room. This allowed the room to operate independently from the rest of the house. 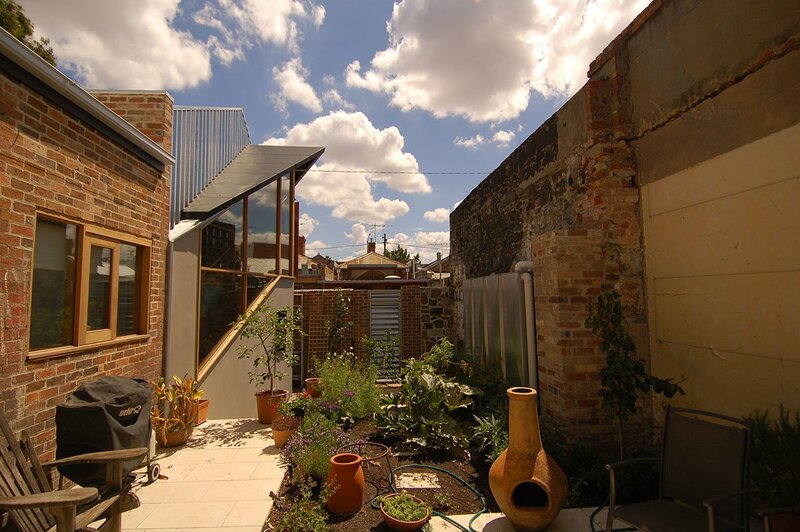 With a street front and a rear laneway, the house could be accessed from either end, meeting at a central kitchen/dining area – the house’s hub. The largest addition overall was the courtyard. It provided a garden, service area and entertaining spaces. 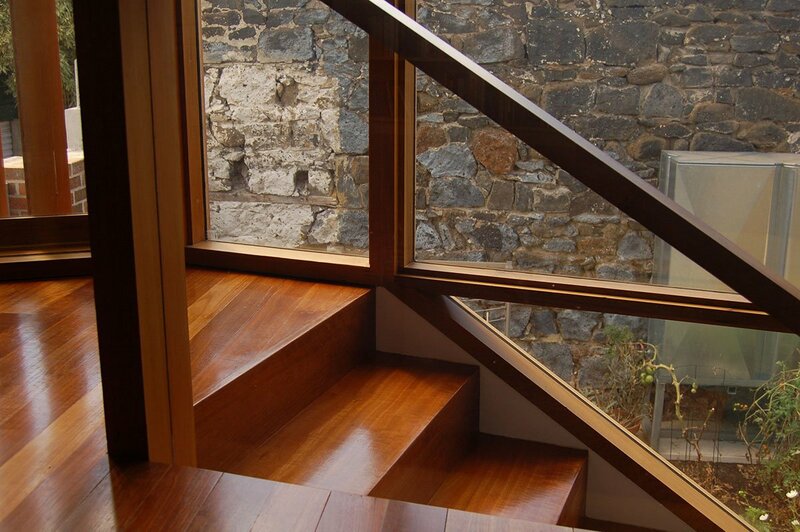 The garden iss characterised by the materiality of the dwelling’s history. The remains of the demolished buildings are retained rather than repaired and erased. Though designed for a particular context and client, this project offers a way of thinking about density through the design of a small but flexible house. 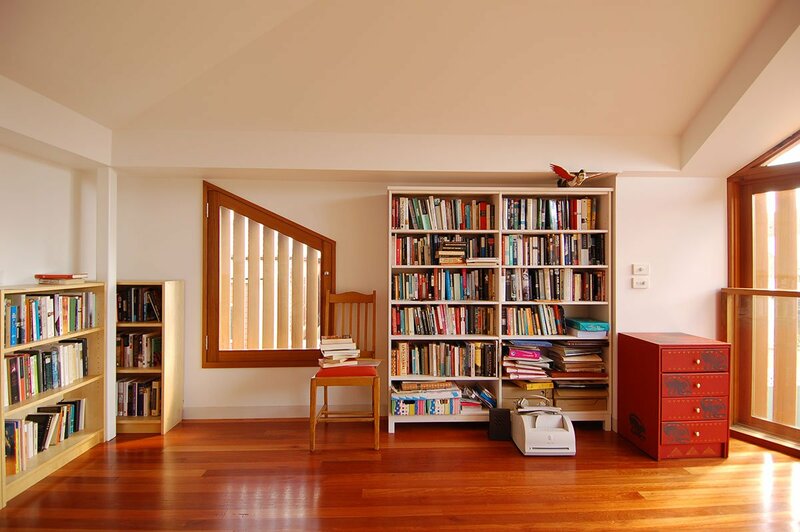 Together, the reconfigurations of the existing house, the courtyard to garden/entertainment area and the flexible study/guest room, provided all the places to fit the bits, pieces and people of her life.